Papercrafts by Patti: Stampin' Up! Retiring Products List! Blog Candy Giveaway! Stampin' Up! Retiring Products List! Blog Candy Giveaway! What are you sad to see going? What will you just HAVE to have? Leave me a comment and be entered to win BLOG CANDY! All comments must be entered by Friday, April 22nd. Winner will be drawn and posted Saturday, April 23rd. ONE comment per person (I moderate them, so they will appear after I approve them) and US Addresses only. 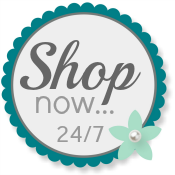 Order using my Online Store. WHILE SUPPLIES LAST!! Crystal Effects...I can't believe they are retiring this. It's my FAVE!!! And, of course the 2014-2016 In-Colors. Pouting!!! I agree with Lynn - I cannot believe Crystal Effects will be gone. It's one of my staples. Granted, I have not finished going through the retiring list, but I do hope there will be a substitute for it in the upcoming catalog. I agree with Lynn...Crystal Effects will be a huge loss. I am also very sad to see the Curvy Corner Triple Punch and Petite Pairs will no longer be offered. I love seeing all the unique uses everyone comes up with for the Curvy Corner and Petite Pairs is one of my most used word sets. Yes I'm very surprised to see Crystal effects leaving the catalog along with alot of the punches and thinlit dies. I am sorry to see several stampsets go "Petite Pairs" "The Open Sea"& "Serene Silhouettes"which I made so many cards using this set. I will miss the in colors especially Blackberry Bliss. Also, will miss many of the retiring punches I use regularly! I am happy, however, that a lot of the stamp sets I have are returning!! Excited to see the new catalog! The retired list always makes me sad. So many favorites being let go of but I have always been happy with the new products. However, this year I am really really having hard time with losing Blackberry Bliss, crystal effects and irredicent ice. Come on New catalog and wow me! I cannot believe they are retiring the glue sticks. They are so much better than all the other brands. Also, cannot believe the bird punch is retiring.